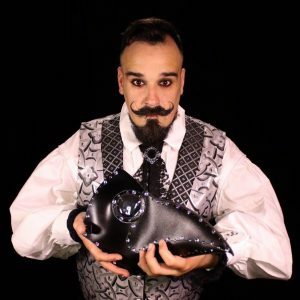 Today, Matt welcomes Broody Valentino, a Boylesque performer, puppeteer and theatre educator based in the NY/NJ area. Known as the “Teddy Bear With Claws”, Broody chats with Matt about how he got started in burlesque and how he’s always loved theater from a young age. They talk about how going to school for theater has informed his performances and how he tends to lean towards a ‘classic Hollywood’ style. He talks about the first show he saw, how he’s come so far so fast, and about the power he draws from being a confident stage performer. And so, from his unabashed love of birds to the costumes they’ve inspired, here’s presenting Matt Storm and Broody Valentino. Today Matt welcomes Mac Rogers, a playwright hailing from NYC. 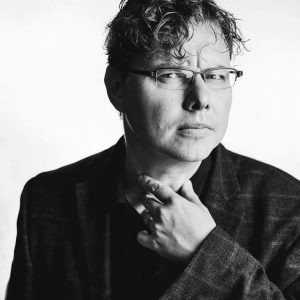 Founding member of Gideon Productions, Mac Rogers has written the plays Frankenstein Upstairs, Universal Robots, and The Honeycomb Trilogy (including Advance Man, Blast Radius, and Sovereign). He is also the writer of a new 14-episode narrative podcast Steal the Stars — a serial noir science fiction heist. With Matt, Mac chats about Gideon Media partnering with Tor Labs to bring Steal the Stars to life; they chat about its casting process and how they decided on Ashlie Atkinson as the lead. Matt asks how Mac got his start as a writer, and what inspired him to dive deep into sci-fi on the stage. And so, from the difficulties in portraying and high quality science fiction in the theater—without the use of special effects—to the challenges of writing a podcast versus a play, here’s presenting Matt Storm and Mac Rogers. Today, Matt welcomes Buffalo native Devin Mullen, the creative mastermind behind Anxious Kids (formerly Anxious Kids Make Good People). Previously a guest on the Crash Chords Podcast, in Ep. #141, Devin arrives on Autographs to chat about his exciting work as a professional sound engineer and his recent tenure in the Big Apple to work on the sets of The Joshua Show: Episode 2 and The Flatiron Hex. He also chats about his latest album under the Anxious Kids banner, Honestly? and how his writing has evolved since his last appearance. And so, from his writing process to his favorite tracks, to his third life an author — recently penning the novel, The Parable Life — here’s presenting Devin Mullen! Today Matt welcomes playwright, actor, and producer Ngozi Anyanwu. 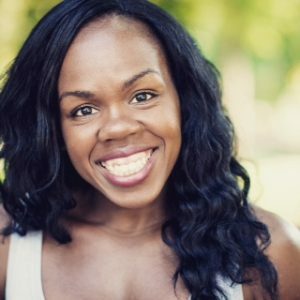 Writer of the play Good Grief, which starts its run in LA at the end of February, Ngozi is also one of the producers of the NOW AFRICA: Playwrights Festival. She has also acted in Mysteries of Laura, Limitless, and Law & Order: SVU just to name a few. With Matt, Ngozi chats about how Good Grief came to be and also how she began writing—specifically playwriting. They chat about the origins of the NOW AFRICA: Playwrights Festival, the changing landscape of the arts, and the similarities and differences between her many talents. 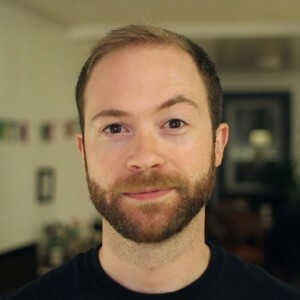 Today, Matt welcomes fellow Brooklyn resident, content creator, and internet personality, Mike Rugnetta. 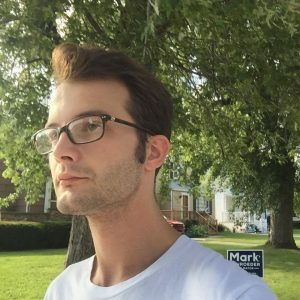 You might know Mike as host of the Idea Channel for PBS Digital Studios, or as host of the podcast Reasonably Sound. He’s also a composer (among other things). With Matt, Mike discusses the origins of the Idea Channel, a YouTube series self-described as examining “the connections between pop culture, technology, and art.” He talks about the show’s development, the origin and impact of his uniquely thorough Comment Response videos, and the active community surrounding the series. He also talks about his work with Reasonably Sound, along with his background in theater, music composition, computer science, and critical theory, all of which inform his many projects. Finally, with some inevitable asides on comics, movies, and video games (not to mention a brief hosts’-hat switcheroo), here’s presenting Matt Storm and Mike Rugnetta.